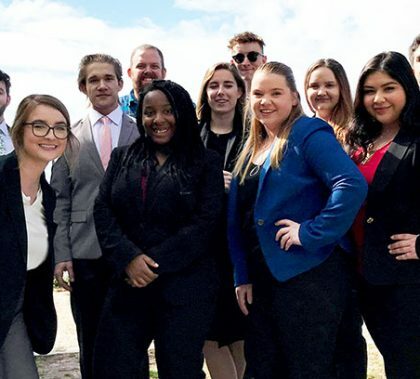 Among 30 speech and debate teams, GCU finished runner-up to Concordia University of Irvine, Calif., on Sunday at the Sunset Cliffs Classic Tournament at Point Loma Nazarene University in San Diego. Jess Kennedy, Tommee Gleason and Xanthia Clow led the speech team. Kennedy won two events in the novice division and was named the second-ranked speaker of the tournament. Gleason clamed a pair of third-place finishes and reached the finals in two other events and Clow placed third in two events. Two debate pairs (Matthew Calderwood-Grace Laidlaw and Ben Kuykendall-Joseph-Madere) advanced to the top eight.